How goes the "war on terror"? One would think that the absence of a successful dramatic terrorist operation against Westerners since the London bombings in July 2005 would be heartening. But an atmosphere of gloom predominates. A recent much-publicized Foreign Policy magazine poll of 108 American specialists, myself included, found merely 6% who agreed that "The United States is winning the war on terror." A whopping 84% disagreed. Governments negotiating with Islamist terror organizations like Hezbollah and Hamas. Leading institutions (the press, the academy, etc.) accepting non-violent Islamists as part of the solution. The left making common cause with Islamism against their capitalist/Judeo-Christian opponent. But there is also good news in the war, and it concerns the deepening education and spreading awareness of growing numbers of Westerners, especially on the right, about the nature of the war and the enemy. Americans are reading books, watching documentaries, keeping up with the news, and getting actively involved. For example, the phrase "war on terror," widely accepted six years ago, is now generally seen as obsolete because it confuses a tactic with an enemy (though the term continues to be used due to the lack of consensus on a replacement). Nor would any high American official today repeat anything like then-Secretary of State Powell's analysis one day after September 11, 2001, that the terrorist attacks "should not be seen as something done by Arabs or Islamics; it is something that was done by terrorists." Rather than refute such silliness, conservatives debate an issue that barely existed pre-September 11 but bears close watching for its policy implications. To one side stand those of us who see the Muslim world going through a temporary crisis and who seek ways to help modernize its religion, so that Muslims can flourish. To the other side stand those who see Islam as an irredeemable death cult and seek to ban Islam and disengage from Muslims. More broadly, the ongoing and intense public debate about Islam has created a far more informed citizenry. Few Americans before September 11 knew such terms as jihad and fatwa, much less ijtihad, dhimmitude, or burqa. Fewer yet could discuss abrogated Koranic verses or had opinions about the Islamic nature of "honor" killings. Yet these matters are now knowledgeably discussed by bloggers, talk-show hosts, and even police departments. The New York City Police Department last month issued an impressive report, "Radicalization in the West: The Homegrown Threat," showing that terrorism results from Islamic intellectual precursors. 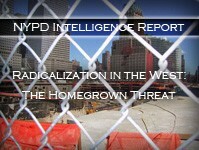 Whence, according to the NYPD, comes that process of radicalization? "Jihadist or jihadi-Salafi ideology is the driver that motivates" young Western-born Muslims to engage in terrorism against their own countries. Six years ago, no police report would make such an assertion — much less use terms like "jihadi-Salafi ideology." Interestingly, the NYPD acknowledges that it needed time to reach this level of sophistication: "Where once we would have defined the initial indicator of the threat at the point where a terrorist or group of terrorists would actually plan an attack, we have now shifted our focus to a much earlier point," when the process of radicalization begins. Rabbi Eric H. Yoffie, president of the Union for Reform Judaism. Despite these advances, liberal commentators repeat inaccurate claims about "all Americans" suffering from "a huge and profound ignorance about Islam" (as the president of the Union for Reform Judaism, Rabbi Eric Yoffie, just put it, ironically while speaking to an Islamist convention). The outcome of the "war on terror," I submit, will have less to do with breakthroughs in avionics or intelligence coups than with the degree to which civilized people understand the nature of their enemy and join together to fight it. That means liberals remembering, as Canada's Salim Mansur put it, that "Liberal democracy is no less an armed ideology than [is] Islamist ideology." What does the future hold: 2001's slogan of "United We Stand" or more of today's deep fracturing? The answer may well be decisive. The historical record gives me some reason for optimism, as until now the Western democracies have prevailed. For that to happen again, learning about Islam and Muslims will be part of the requisite preparation. Related Topics: US policy, US politics, War on terror | Daniel Pipes receive the latest by email: subscribe to the free mef mailing list This text may be reposted or forwarded so long as it is presented as an integral whole with complete and accurate information provided about its author, date, place of publication, and original URL.